This is the number one mistake that many brides make on their wedding day. Let’s face it, weddings are expensive and in this day, brides are forced to prioritize their budget, and compare vendors like they never have had to before. However, when you are looking for a particular venue, you need to pick one that first matches your theme. The same thing goes for your wedding decorations. Photography is no different. We all have different styles, and learning about different types of photography is critical to ensuring your wedding day is captured in the best way possible. Now choosing a particular style of photographer is only the first step. The next thing to consider is what you want to receive from your photographer. In our experience, brides who have placed a high value in photography opt for tangible heirlooms that will last them a lifetime such as fine art leather wedding albums, metal prints and high-quality canvases. As a premiere Santa Clarita Wedding Photographer, we want to make sure that we provide only the best possible products that the photography industry has to offer to our clients. Now comes the balancing act. You have to carefully balance the above two steps with your budget. Now you are already committed in spending a lot of money on your wedding. Your details and decorations are just one aspect of your wedding day. This brings me to my next point. Some photographers place more or less importance on capturing emotion in a day. In our opinion, you are hiring a professional to tell your story. There are moments that happen in between the moments that sometimes tell the best story. Capturing expressions are extremely important because they convey emotions that are being realized at that particular moment in time. You cannot read a person’s mind, however if you can read their expressions, you can get an idea of the emotions going through them at that particular time. Capturing and preserving those moments are vital to telling a successful story. Gone are the days where a couple just hopes to hire a professional photographer to ensure that their images just came out exposed correctly. The digital age has ushered professional wedding photography into a completely new era of epic images. As a professional wedding photographer, we need to ensure that we are using the latest techniques to create images that are unique and worthy of displaying in the form of large prints. Carrying a variety of different products such as metal prints and albums also ensures that we are on the cutting edge of the photographic industry. We want our clients to display their images in their home, rather than forget about them on a DVD somewhere. As professional wedding photographers in Valencia, our number one goal is to create images for our clients that they cannot get anywhere else. While professional camera gear is not anywhere close to the most important thing a photographer needs to create beautiful imagery, having the right systems in place is extremely important. Wedding photographers often feature unpredictable, low quality lighting in many different types of venues, so that being the case, a couple shouldn’t settle for a photographer that doesn’t have the proper equipment to photograph their day. All photographers should also have backup equipment that is just as good in quality as their primary equipment. Now, in the industry today, good photography is literally only half of the equation. Your wedding photographer must have the ability to properly retouch your photographs, and be able to do it in a reasonable amount of time. None of the things above matter if you are unable to get ahold of your wedding photographer. Being constantly in communication with our clients ensures that they are always completely satisfied. One of the most common complaints from brides about their wedding photographers is that they take too long to get them their images back. We have focused on a system that allows us to turn our clients photos around within 3 weeks. 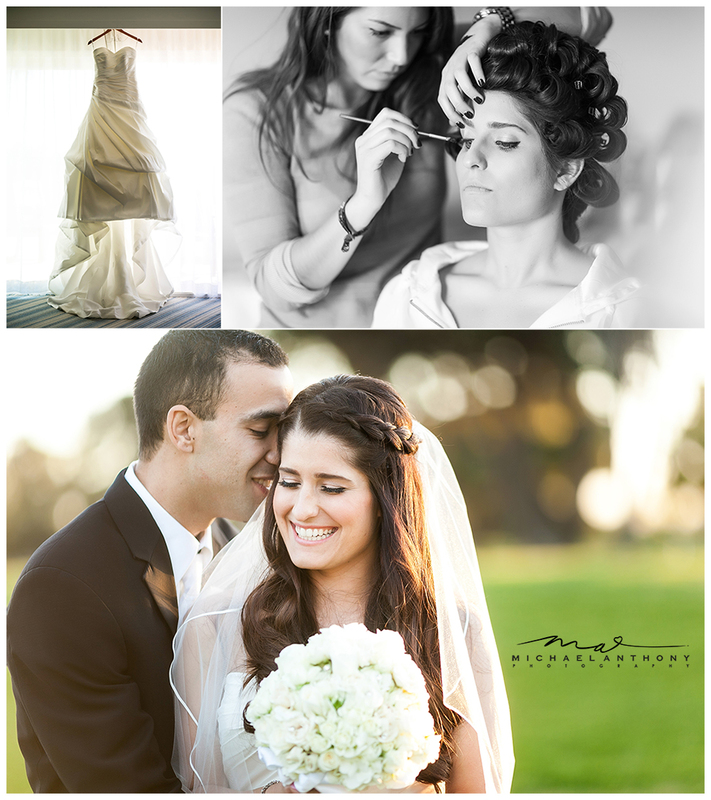 That is the type of customer service that our clients deserve and expect, and in order to ensure we are their top choice among Santa Clarita Wedding Photographers, we make sure that customer service is our number one priority. It’s 2013 at the time of us writing this article, every iPhone, point and shoot camera, and prosumer DSLR can be placed into automatic mode and take a correct exposure in proper lighting. With the average cost of a wedding in America reaching almost up to $30,000 (not including rings), why wouldn’t a bride want to hire a friend who offers to take the photos for free? Being a skilled story teller not only requires artistic vision, but it also requires you to take all of your technical, people, business, and educational skills to another level. You have to be able to pre-visualize an event or moment, and be ready to preserve it with less than a second to do so sometimes. Many times, the difference between capturing a first kiss or missing it is simply being in the wrong spot by 6 inches. If a guest stands up to get a better view of the moment, the couple may never see their first kiss captured if the photographer did not anticipate that happening. Being a story teller also requires the photographer to know which images will best depict the actual mood of the day. Hiring Uncle Joe to shoot your wedding may seem like a great way to cut your wedding budget, but keep in mind that even the most beautifully decorated wedding will not look as such if the photographer does not know how to aesthetically present it. Most FWNC’s will not have proper backup equipment if their main camera fails (this does happen). Even more likely, if an amateur is not using the highest quality memory cards, the possibility for a card failure is very high. Most receptions will usually go into night time, meaning poor lighting with mixed color temperatures. Slapping a flash on a camera is not a viable solution to dealing with bad light if a couple wants the best images possible. A wedding photographer needs to be skilled in BOTH natural light AND off-camera lighting in order to create the best images possible for their clients. There are many ways for an amateur photographer to build their portfolio, being the main shooter on a wedding is not one of them. I hope we shared some insight into shopping for your wedding photographer. This article is not meant to cause controversy among different types of wedding photographers, or photographers of different skill levels either. It is meant to inform any brides looking for the best Santa Clarita or Los Angeles wedding photographer of some things that they should keep in mind. Not all photographers will be a good fit for all clients, but if a bride begins her shopping quest informed, it will lead to the best memories she will have of her special day. Thanks for reading!